As we get older, the body faces a number of challenges and issues which, along with ageing teeth and gums, can affect oral health and increase the risk of disease. A number of common health problems such as diabetes, arthritis, cancer and smoking can have side effects linked to oral health, as can the medications that are taken to treat such problems. Dry mouth is caused by reduced saliva and is usually a side-effect of a number of different medications, which can be used to treat overall health problems in elderly patients. It is important to understand that dry mouth is not an untreatable cause of ageing, and to avoid oral health problems in the elderly it should be addressed with your dentist. One of the main concerns your dentist may have about dry mouth is the increased risk of cavities. Healthy saliva production is essential to maintaining good oral hygiene, due to its anti-bacterial properties which help fight bacteria and plaque in your mouth. A dry mouth increases the risk of bacteria by providing a better environment for germs and diseases to multiply and spread. This may mean that cavities appear much more quickly in aging teeth than in a younger patient. Bad breath can also ensue from a dry mouth. Ageing teeth and gums are an inevitable issue faced by the elderly, and as gums age they lose elasticity which causes them to recede. However, receding gums is not the biggest concern for dentists when it comes to tooth loss in the elderly. Poor oral hygiene can lead to diseases such as Gingivitis and Periodontitis, that latter of which is the leading cause of tooth loss. Therefore, regular trips to the dentist will help you spot the signs of disease and take preventative measures to improve oral health. Receding gums can also heighten sensitivity experienced by elderly patients, therefore sensitive toothpaste or mouthwash may be recommended by your dentist to avoid any discomfort. The exposed root of the tooth is also softer and more porous than the crown of the tooth, and therefore susceptible to cavities. Root surfaces should be kept clean by regular, gentle brushing. 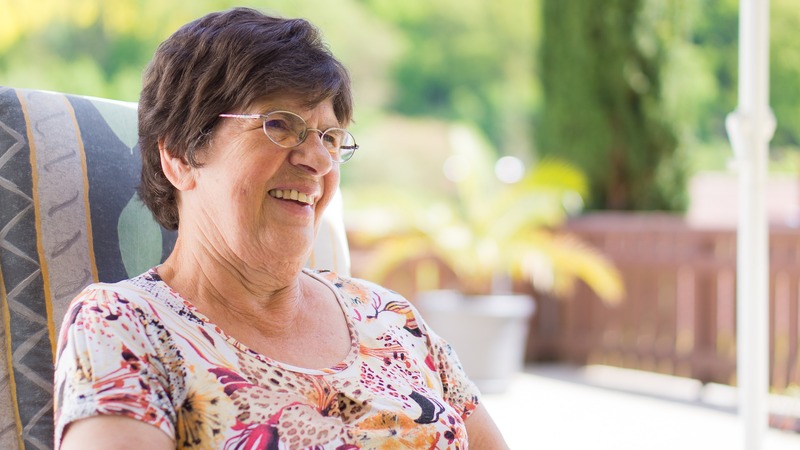 When it comes to oral health problems in the elderly, one of the problems can sometimes be reduced mobility or eyesight, which may affect the patient’s ability to properly clean and care for their teeth. If a thorough brushing regime is no longer possible for the patient to carry out unassisted, or is forgotten about from time to time, then bacteria and plaque can build up in the mouth and around the gum line, potentially leading to Gingivitis. Gingivitis is the technical name for what is often called ‘gum disease’. The inflammation and swelling of gums can be painful and bleed during the brushing of teeth. If left untreated, Gingivitis can cause periodontal pockets to form between the root of the tooth and the gum, harbouring the perfect conditions for harmful bacteria and infections. This can be the first stage of Periodontitis, the leading cause of tooth loss. Periodontitis is a preventable condition which causes tooth loss. This disease of the gums and the surrounding bone structure is caused by the build-up of bacteria and tartar in the mouth which has not been removed by brushing. This disease can remain undetected and painless in the mouth for many years and is commonly only diagnosed when it becomes problematic in later life. For elderly patients who are unable to brush or floss regularly, extra effort should be made by carers to ensure that good oral hygiene is maintained, or that regular trips to the dental hygienist are scheduled, who can help to clean away harmful bacteria and plaque. Oral cancer is the 6th most common form of cancer and the risk increases with age. It is more prevalent in patients aged 50 and upwards, however there is also a much higher risk for regular drinkers and smokers over non-smokers and non-drinkers. Elderly patients should visit the dentist regularly for hygiene and health check-ups, and the dentist will look to detect the early signs of any diseases including oral cancer. Although it can have minimal symptoms in the early stages, early detection can be key to helping save lives therefore any irregularities or changes to the mouth should be noted and highlighted to the dentist on your next visit. While it is undeniable that ageing teeth and gums, as well as the rest of our bodies, are more prone to disease, many of the leading causes of tooth loss or discomfort are preventable with good oral hygiene. If you are an elderly patient and are worried about maintaining good oral hygiene as part of your daily routine, why not speak to our friendly team at Vitality to see how we can help you keep your winning smile. Alternatively, if your friend, family member or someone you know is at risk of poor dental hygiene and infections due to their age, you can contact us today for advice on how to assist them and care for their teeth in the later stages of life. ← Dental Braces: What are they, what do they look like and what are my options?